Do you have a zing for cooking and you love to pass on your lip-smacking culinary secrets? 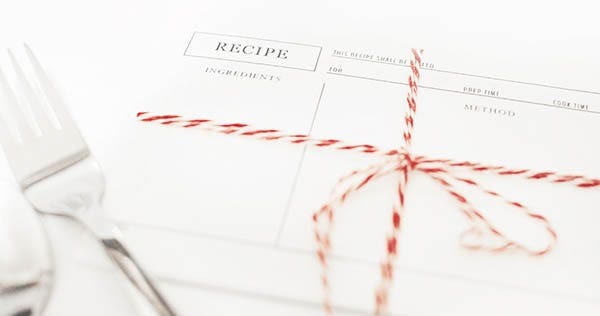 Well, then a recipe card is a smart way to get your cooking funda to all- it could be a much treasured keepsake for your family or else you can hand them down to some dear one as an adored gift. Now many are often wondering how to come up with a smart recipe card. But nothing to worry here as the online world presents a sea of recipe card, page & book templates to pick from. The versatile variety would enable you to choose according to your color preference, style and even kitchen décor. 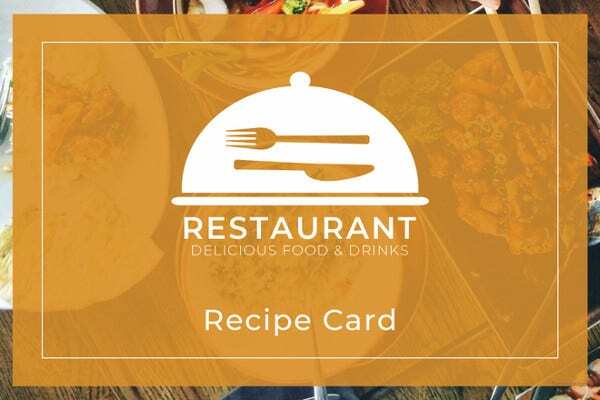 These free receipt card page book templates are been designed and crafted by cooking experts for making a suitable guideline for cooking various dishes. With a simple background and fascinating deal of creativity these templates are handy and yet useful. 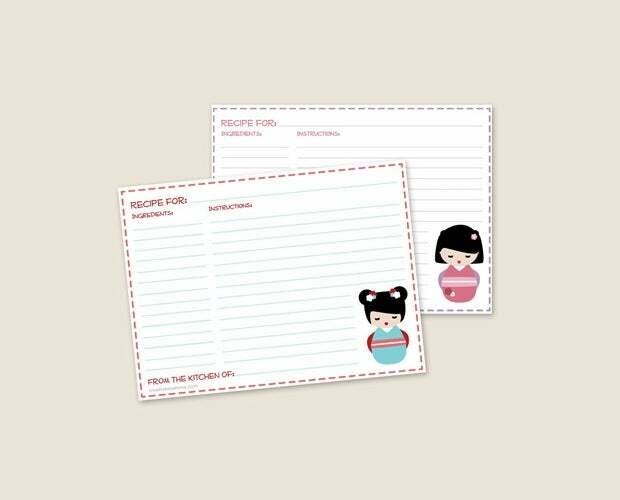 These free receipt card page book templates are the latest entry in this business. With a nice sweet herb present at the corner of the card provides them with a touch of re-freshness to the old school cards. It’s one of the cutest and fun with the owl, little cupcakes, cups and the veggies. The use of light yellow and green adds a refreshing edge to the recipe card.Being new to the market these sweet recipe cards are arguably most suitable for making desert and other confectionaries. 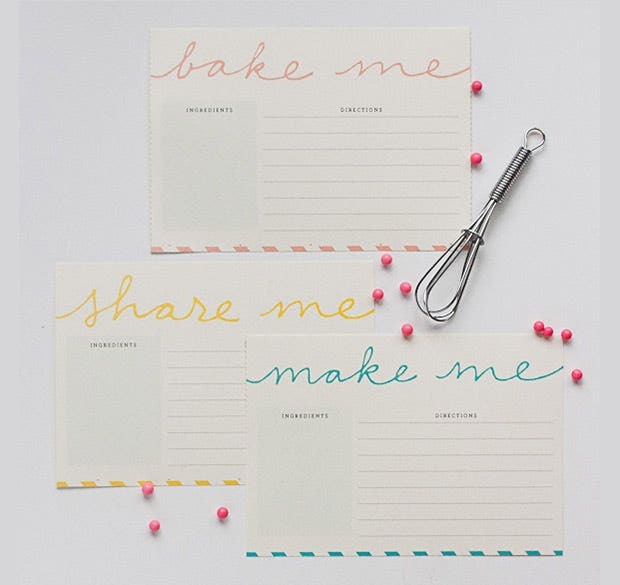 Unlike the usual white writing surface, the use of lighter hues have added on quite a pretty touch to these recipe cards. The sumptuous pictures make the cards all the more special.These cards are been designed mostly for bakery and other confectionery purposes. Further these templates are loaded with a variety of designs that allows the client to choose from various options available to them. The light mauve background adds on a nice breezy feel to this recipe card which anybody would love to receive. It’s smart, lovely and cool- the huge baking bowl is really inspiring!These templates are designed and crafted by experts thus making them suitable for printing and other purposes. Loaded with unique designs and a white simple background further enhance their beauty. If you have got a lengthy recipe, this is the recipe card for you. The addition of cornucopia enriched with bountiful of fruits make it a great choice for the awesome fruity treat recipes.These free recipe card page books are mostly suitable for writing lengthy recipe. 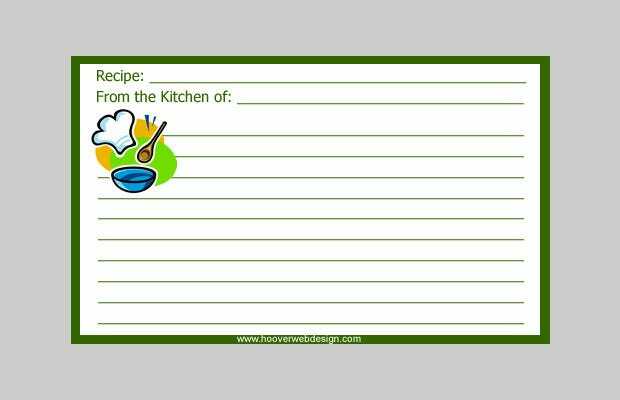 Mostly used by chefs these templates contain all the necessary details required for making a suitable recipe card for the clients. 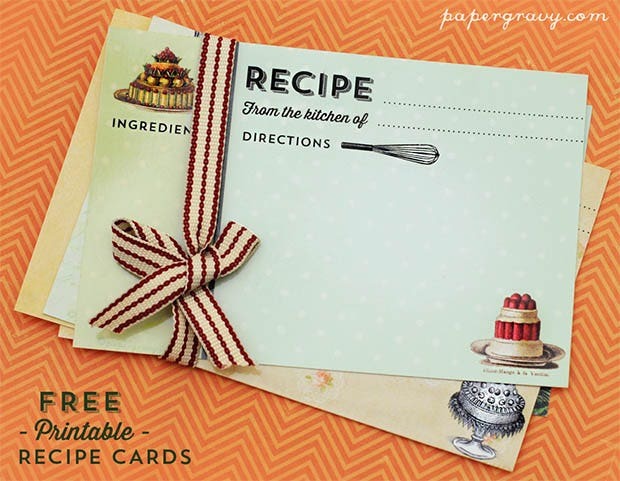 With space for ingredients and directions both at the front and back, this card is the perfect for you elaborate recipes. The touch of light blue breaks the white monotony of the card.These templates are designed by experts for making a suitable recipe card to satisfy the needs of the client. 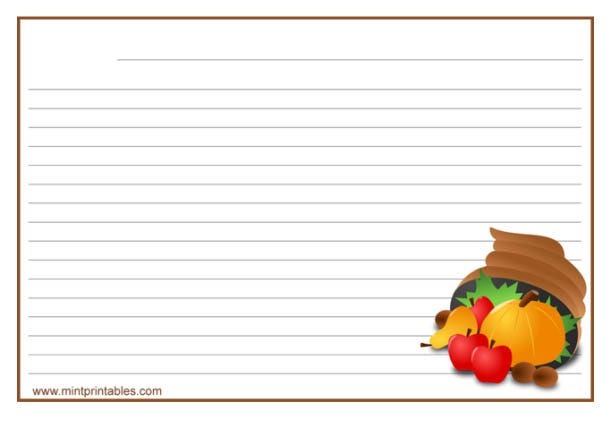 With a fascinating deal of creativity these templates contains all the basic requirements for making a nice dish. This is surely the cutest of all with the showstopper mini Kokeshi dolls posing delicately at the sides of the recipe card. 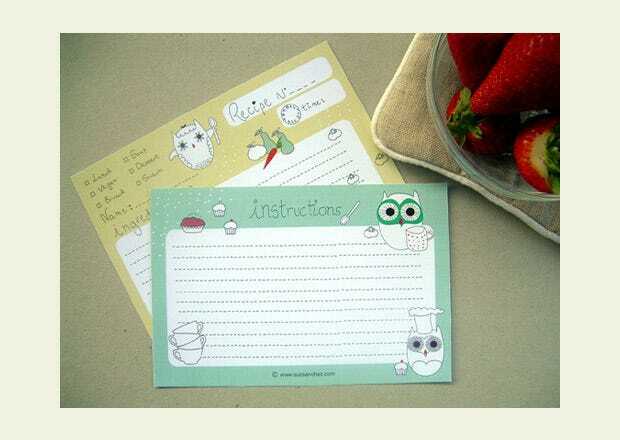 It’s the perfect for handing down easy recipes to kids.Mostly used by Chinese these templates are surely an adorable piece of artwork that is been designed and crafted for making a nice and gentle recipe card. With a simple background and portraying an image of a doll at the corner make them stand apart from the rest. The grey dots at the side add on a chic feel to this recipe card- the use of bold colors creates a nice balanced visual treat. 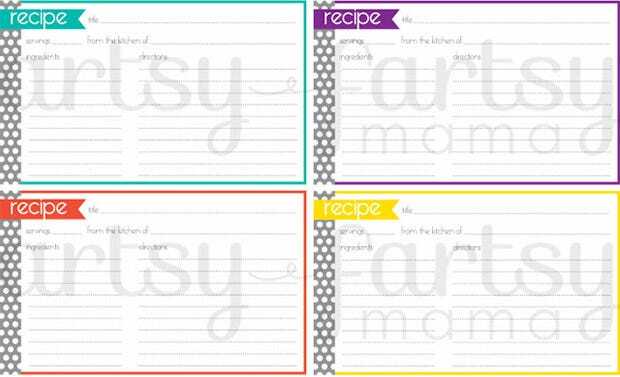 You are getting adequate space for your recipe.Loaded with a fascinating deal of expert creativity these templates are designed with delicacy thus making them an appropriate solution for recipe cards. With a small dotted structure at the corner provides them an adorable look. A white and blue contrast always assures a cool combo, echoed perfectly through this recipe card. 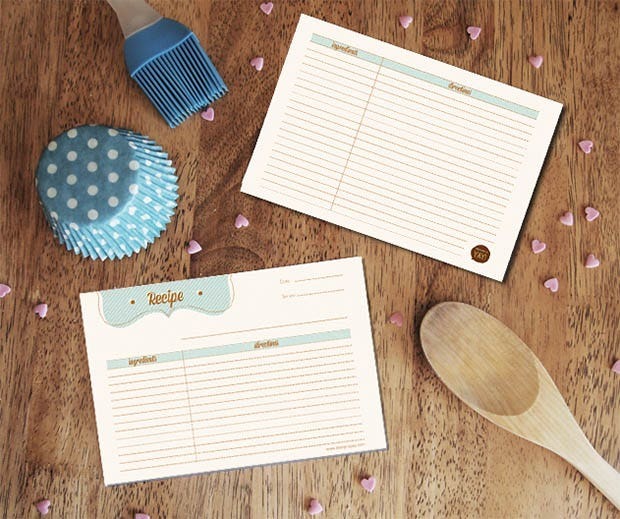 The card offers you huge space to pen down your “secret” recipe directions and ingredients.These white and blue color cards are a perfect example of simplicity with expert craftsmanship. With enough space provided for chalking down all the secret ingredients required for making the dish these templates are handy yet useful. With its minimalist look and color touch at the edge, this one speaks style, without getting overboard. You would love the huge space provided by the card to jot down your elaborate recipe.With a rich color present at the edges of such templates gives them a touch of re-freshness. Loaded with simple texture and white space in the background allows the client to note down all the important recipes. If you are looking for something ornamental, this is the recipe card for you. 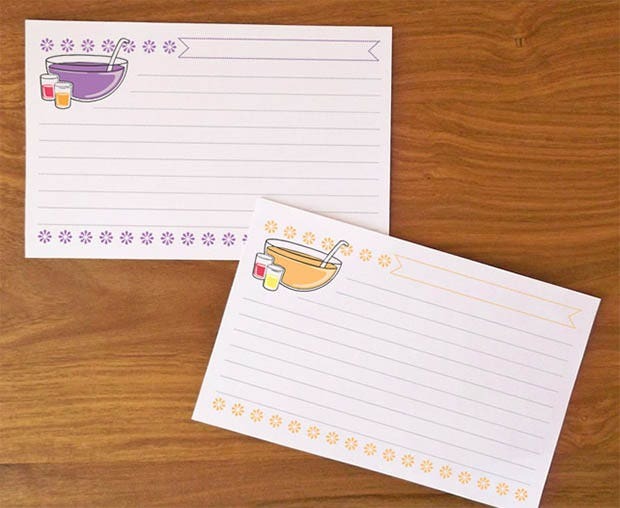 The intricate pattern bordering the card adds on a regal touch to it, sans any interruption to the writing space.These templates are been designed with a sophisticated background thus making them appropriate for writing down the recipes. With a classy design these trendy templates are the latest trend in the market. The card makes an ideal choice for cool shake recipes to refresh the hot summer days. The colorful feel of the card looks really nice, without getting loud or overboard.These designer templates are created by professionals thus containing all the secret ingredients required in making a perfect cocktail. Mostly used in parties these templates are handy and quite useful in organizing social events. 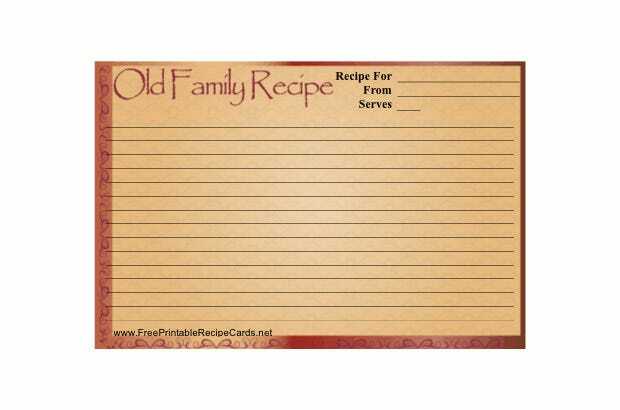 You will love to have this card if you are about to pass down a recipe to the youngsters in your family, which was previously passed down to you by your mom or grand mom.Designed and crafted by experts these templates contain the details of the secret recipe of the vintage dishes. This antique contains the recipe of the dishes that has been going on since ages. 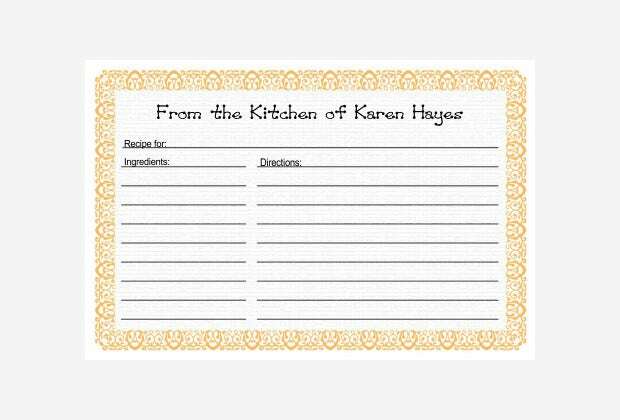 The professional design of this recipe card makes it a smart advertising tool for the kitchen experts or chefs who are looking forward to advertise their grand culinary recipes.With a fancy design and cheesy attire these templates are arguably the best for business. Loaded with unique creativity these templates are quite useful in writing down the ingredients for a particular dish. 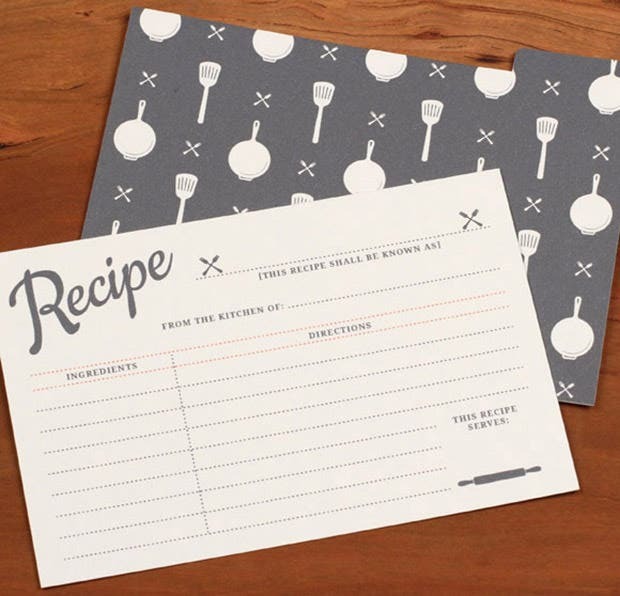 The chef hat, the wooden spoon and bowl beautifully carry the essence of this recipe card. You are getting a whole lot of space to write down about your special kitchen recipe. This one is a great choice if you have a knack for vintage designs- thanks to the grey background dotted with white cutleries you have the vintage expression here to the T.
This apparently plain looking card has been zinged up with its wordings at the top, expressing the very essence of the recipe cards. The color touch at the top & bottom break the stark white monotony. If you are in for a minimalist outlook, this recipe card is the one for you. It’s a no-nonsense practical card assuring ample space for the directions. The white ground is really suave. So whether you are inclined to a vintage feel or looking for something really contemporary, there are recipe cards for every taste. The best bit is that the recipe card templates are often available completely free of charge. Simply download your preferred one, customize it with your data & you are ready to pass it on. 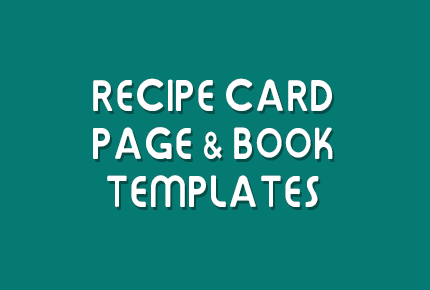 Below is a fantastic roster of some excellent free recipe card, page & book templates. 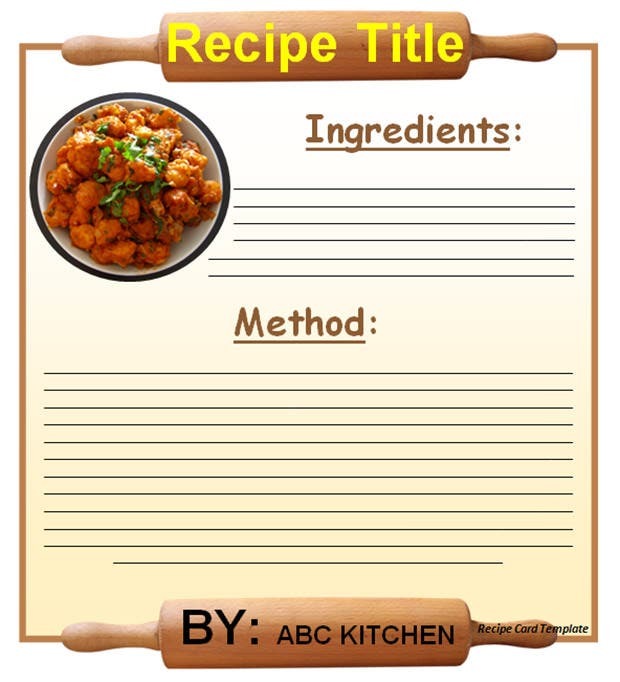 These templates are been designed and crafted by experts for making a suitable recipe book to chalk down all the secret ingredients for making a particular dish.